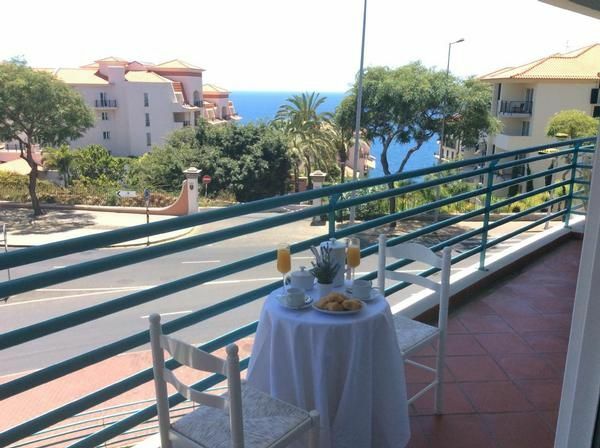 Our apartment is located near the Forum Shopping Centre and Praia Formosa, located in a tourist area of ​​Funchal, with easy access to buses, banks, supermarket, etc. The apartment has 3 bedrooms, 2 bathrooms, kitchen (fridge, microwave, toaster, kettle, washing machine and dryer, dishwasher, etc. ), living / dining room, two private parking spaces and a balcony with sea views. The home is located in this block in the second floor and attic. We still have a "cot", which can be added on request in a room. Overall max. 7 persons + 1 baby under come. It has cable TV (NOS) and WiFi. We do not accept animals. Great for families, friends or business travelers.